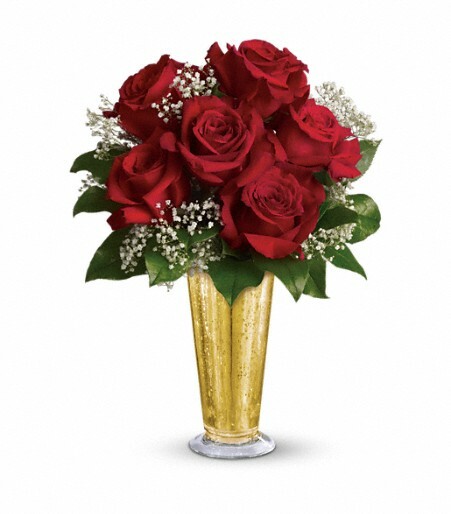 Does someone you know love roses? 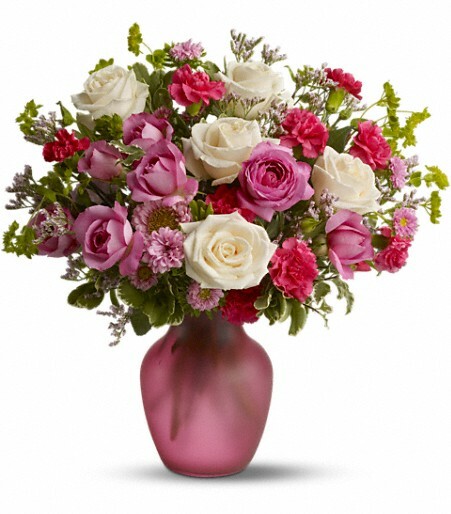 Then they’ll love this lush, fresh pink medley of blossoms mixed with a generous helping of fragrant roses. 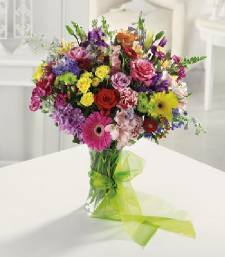 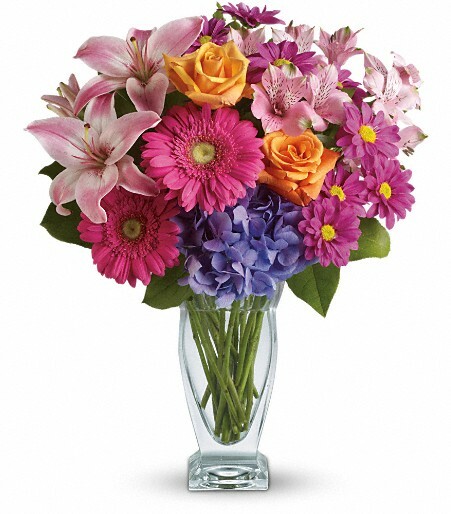 Delivered in a glass sweetheart vase, it’s a pleasing bouquet that’s perfect for a birthday, anniversary or any day of the year.